We created our comparison of popular email marketing services with newbies in mind. Our reviews are geared towards those who need a basic email marketing service and are intended to help the small business or new startup select a quality, inexpensive service that will keep overhead low. However, we know that there are many different email marketers out there in many different types of situations. Perhaps you’re a little further down the road with your business and want a service that you can customize more, or maybe you’re a graphic designer with a ton of experience designing for email. While our basic email marketing reviews can still help you make a decision, you might need more advanced tools. Read more about these types of services below. “Drip marketing” campaigns — Lets you create and automatically send create multiple sequences of email campaigns based on “triggers,” or actions your subscribers take. Behavioral targeting – You can target prospects based on their previous activity. Pinpointe is a great B2B email marketing service that provides unlimited image hosting space, an easy-to-use WYSIWYG editor, and other cool features geared towards B2B email marketers, such as survey creating, dynamic content insertion, and trigger campaigns. You can sign up for a 15-day trial for $5 before committing to Pinpointe’s B2B email marketing service. Some email marketing services are extremely flexible and allow maximum customization. They are geared towards agencies or email marketing resellers—anyone who has multiple clients they need to develop customized campaigns for and manage all in one place. Campaign Monitor is an email marketing service that was originally created with designers, developers and resellers in mind. The service allows you to create your own templates with HTML code and upload them into the service. Recently, Campaign Monitor added a sleek WYSIWYG editor to their interface that gives even the average user the ability to make professional quality email marketing campaigns using the service’s premade templates. Campaign Monitor is also designed for those who create and manage multiple email campaigns for multiple clients, since their interface allows you to easily toggle between between clients. Learn more about Campaign Monitor. 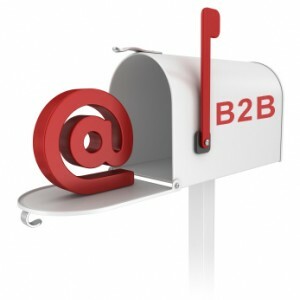 Full-service email marketing is great for those who want to completely outsource their email marketing efforts. A full-service email marketing service will take care of every aspect of email marketing for you, from creating your emails to sending and monitoring your campaigns.Some services will even write your email content for you, provided you send them some minimal information. This service meant for any company with a bigger-than-average marketing budget or anyone who wants to save time on doing in-house marketing. Benchmark Email is a reliable email marketing brand that offers full-service email marketing (in addition to their basic email marketing plan). For $149.95 a month, Benchmark Email will “do it for you.” All you have to do is send Benchmark a document with what you want to say in your email, along with your subscriber list. They’ll create your campaign, upload your list, schedule it to send, and even post it to your social networking sites. Learn more about Benchmark Email’s full service plan.